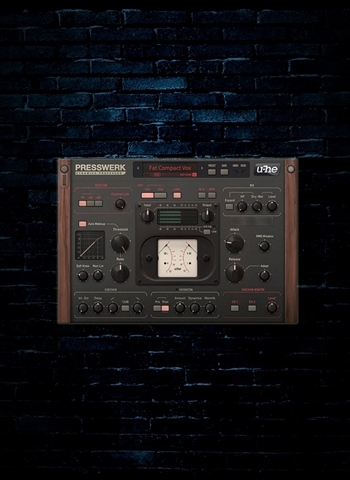 Presswerk is a powerful dynamics processor with a musical soul. An easy-to-use interface and a rich feature set give you hands-on control over all details of your sound. Presswerk doesn't emulate famous compressors, it blends the warmth of classic hardware models with developments that are only possible in the digital domain. -Sidechaining: use ducking to create more space in your mixes, or get creative with keying and pumping effects. -Adjustable compression curve and envelope. Find the best settings, get the most out of your audio using the soft knee, compression ratio, attack and release and other controls. -Loud. Oh yes, Presswerk is more than capable of making your tracks louder!